Recently, I asked other book bloggers (Faye and Lucy!) what their favourite reading memories were. And in asking others, I started thinking of my own. Sitting down to think about it properly made me realise I couldn't narrow it down to just one. Or even a handful. So I created this post of my top 10 instead! I'd love to know your own reading memories, please share yours in comments! The first memory I thought of was buying Anne's House of Dreams by LM Montgomery, which was the final book I needed to complete the series. I have no idea who bought the other Anne books for me (was it a present? did my dad buy them?) but I can definitely remember how it felt to find this particular book in a garage sale in really good condition and for only 25 cents! It was amazing. This memory was very strong as well. I had a really wonderful middle school teacher. He really tried to get us all to think differently and to make changes both in our lives but in other people's lives too. 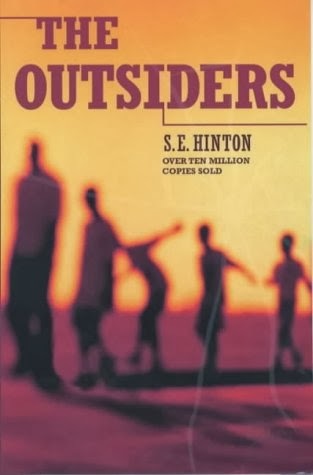 And along with some other wonderful books (Pigman, Summer of a German Soldier) we read The Outsiders by SE Hinton. 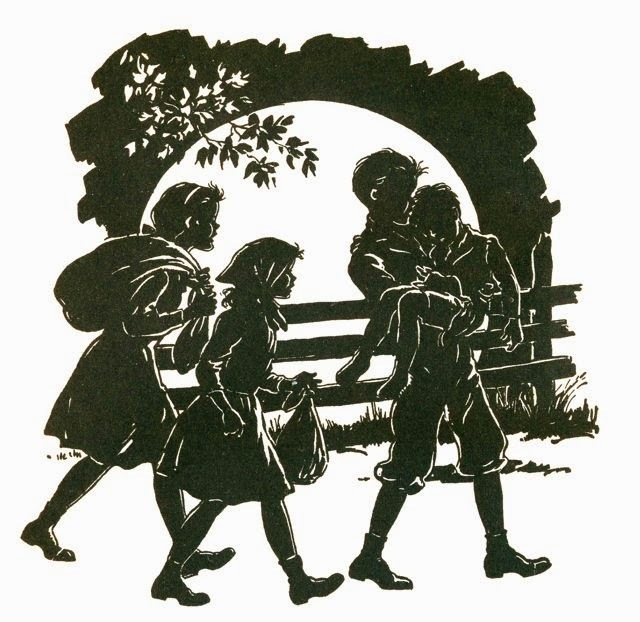 I picked up the first book, The Boxcar Children by Gertrude Chandler Warner, in a second-hand bookstore on one of my family's travels when I was very little. 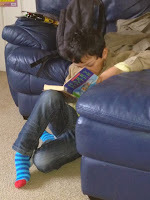 And that alone would have made this list of favourite reading memories... except that awhile later, after desperately trying to locate the other books in the series on my own, I was gifted more than 30 of the books as a present by a family friend. Seriously my favourite Christmas present ever! It's a strange one, this one, in that I wasn't there when it happened. I never wrote a blog post about it, but earlier this year, me and N and the boys all went to the Hay Festival. It wasn't something that N was interested in at all but he agreed to take the boys around and keep them amused while I went to see a bunch of different events. One of the events that he took the boys to was to hear Steve Cole speak about his series Cows In Action. And from what I hear from N and the boys, his event was amazing! Steve Cole came out wearing a black Spiderman costume and really interacted with the children in the audience and got everyone involved. More backstory: The Littlest has had problems with his speech. He was in speech therapy for over a year and as a result, he never spoke to strangers, he didn't speak in general to anyone outside of the family. Before this, his lack of confidence in his speech and his shyness were his dominant features when out in public. Back to the Hay Festival... Steve Cole asked if anyone in the audience had any questions and on his own accord, The Littlest raised his hand. Steve Cole called on him and very clearly, L asked him a question. In a microphone in front of a large audience. It makes my eyes well up at just the thought of it. I love that Steve Cole connected with my son in such a way to get past all of The Littlest's insecurities and and got him to speak. Another favourite memory is hearing the excitement and enthusiasm from both boys after this event! I've told this story so many times that I feel like maybe it's a bit tedious by now? But it's still one of my favourite reading memories as well as being a favourite childhood memory. 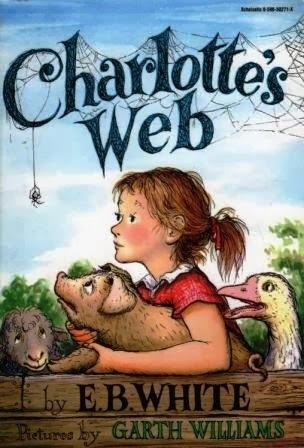 Charlotte's Web was my favourite book as a child. I carried it around with me everywhere and I read it a countless number of times. This is just a general and collective memory of visiting the library regularly throughout my life. I love the library. It has been my happy place for many, many years. I never feel as comfortable as I do surrounded by books! I know, I know. Two different Harry Potter memories on this list? It might be overkill, but both of these memories are very important to me. 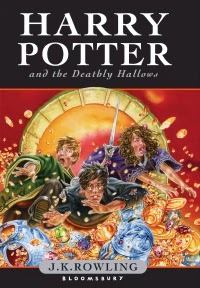 This final book in the Harry Potter book came out just before my birthday. And I'd stayed up to buy and read the book at midnight. I'd stayed up as late as I could that same day but then had to go to sleep. Well, that afternoon N had planned a surprise meal with some friends and I remember I was near the end as we were driving into Kingston. I was crying quite badly and I asked N to stop the car and check the final pages of the book to make sure that my favourite characters were still alive in the end and didn't die during the Battle of Hogwarts. It was such an overwhelmingly emotional day, that one. It will always stay with me. I couldn't write a list like this and not acknowledge how incredibly lucky and grateful I am that so many wonderful opportunities are available to me! I absolutely love being part of the UK book blogging community. I won't lie and say that everyone gets on with everyone else, but it's pretty close! Being a part of all this has been one of my favourite things in life. Yes, life. Thank you all! What are some of your favourite reading memories? Anne's House of Dreams is one of my favourite books. :) My copy is an old one from 1983 (it wasn't mine originally). I like Anne of Green Gables too, I want to collect all the books in the series. I really love the Emily of New Moon series, especially the first one. I had a copy that was withdrawn from sale when I was young. The cover and most of the first chapter fell off /came out and for years I read it from that point (minus the first chapter) because I still knew what happened, lol.Then more recently I got a newer copy, so now I have the complete book! It feels really familiar when I re-read it, like I know the characters, lol. I like Rilla of Ingleside and the Pat of Silverbush books as well. I've not read any of LM Montgomery's books outside of Anne, I'm afraid. Everyone raves about Emily and everything, but it just never appealed! That's cool that it was the first book you bought and that it was so cheap too! I can't remember exactly what the first book I bought with my own money was but it might have been a Sweet Valley Twins one (prequel to Sweet Valley High). I think some books just resonate with us more than others. :) The Anne and Emily books are pretty similar with the basic storyline (orphan girl going to stay in a new home) but Emily makes more of a career out of writing rather than teaching. Anne always struck me as more optimistic than Emily. The Emily books deal with more spiritual topics, Emily is psychic and has "the flash" which is basically a spiritual experience where she sees beyond the ordinary world. Also her friend Dean talks about the transmigration of souls aka reincarnation. It's interesting because I don't think those subjects were as "mainstream" in those days as they are now. Which is your favourite Anne book? I have Anne of Green Gables and Anne's House of Dreams (I like them both, maybe House of Dreams a bit more) and I got Anne of Windy Poplars for my birthday this year but realised I missed out two in between! I need to get Anne of Avonlea and Anne of the Island. I've read Anne of Avonlea before and I think the Island one too. For me, I always loved the first two books more than the rest of the series. Perhaps that's because of the age I was when I was reading them. Maybe now if I did reread the whole series I would appreciate those books more that detail her setting up her home and finding her place in the community and having a family. 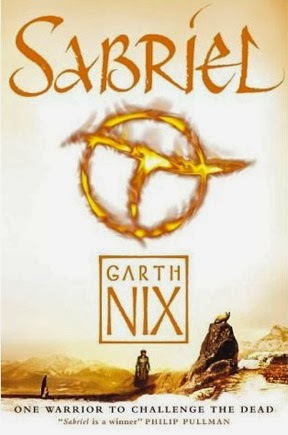 I think the first book has to be my favourite, though I do also really love the second and third books too. The first one's good. :) I see what you mean about different books appealing more to you at different stages in your life. I can't remember exactly what happens in the second and third ones but I'm planning to get them to keep, maybe for Christmas.